Hello everyone and welcome back to my website! 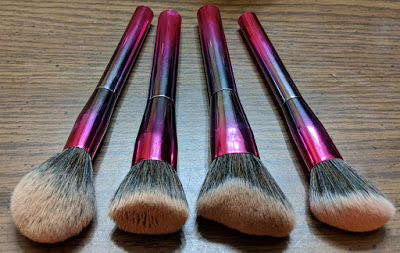 Today I have for you a review of the beautiful BH Cosmetics Royal Affair Brush Set! I’m going to go over the quality, price, and lots of other information you may need or want before buying them for yourself. I’ll also touch briefly on some issues people are having with shipping, wait time and my personal experience with those subjects. 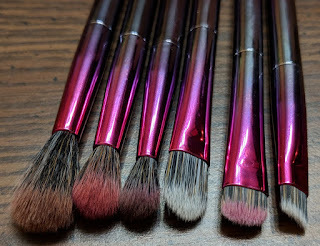 This brush set includes 10 brushes, 4 face brushed and 6 eye brushes. The handles are plastic with a "Metalized Finish". Basically meaning they have a shiny chrome finish. They are weighted nicely and don't feel cheap at all. I love a good weight behind a brush, it shows they're made well. Here is a list of bullet points about the brushes, from their website with my own points added in as well. One thing I'm actually confused on is their statement "Metalized handles that assists in precise application", The finish has nothing to do with how well the brushes will or wont preform lol. I've been seeing a lot of drama on their Instagram photo's of people being upset about them being charged double on accident on orders and shipping taking over a month for things to be shipped. Personally, nothing like this had happened to me and when asking a few people who've had these issues, it was during the holiday season when they were getting a lot of orders. I'm assuming it was a computer error and due to high volume of orders, things were a bit late to be shipped. I think anytime someone orders online around the holiday seasons or when there's a big sale (on any website) the should keep into consideration that there's a lot of others shopping too. 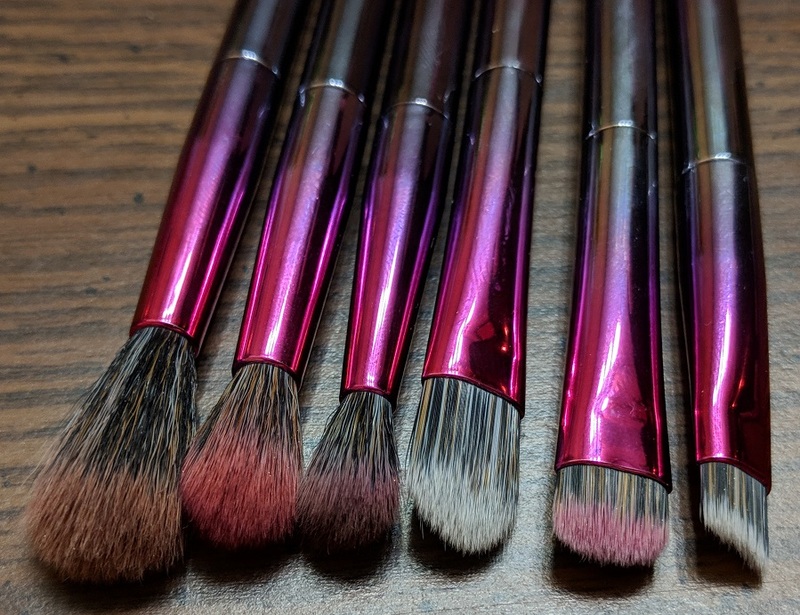 In conclusion, I highly recommend these brushes. The flat top foundation brush works like a dream! 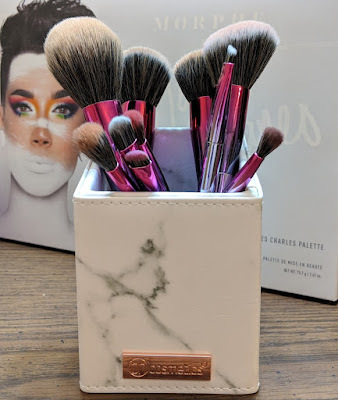 All of the brushes are amazing, but I've been looking for a good foundation brush for a while now. They're amazingly soft, have not shed one bit or gotten out of shape. The fat that there's 3 blending brushes is amazing! They are all different sizes, and help you create such a beautiful blend! Right now they are on sale! 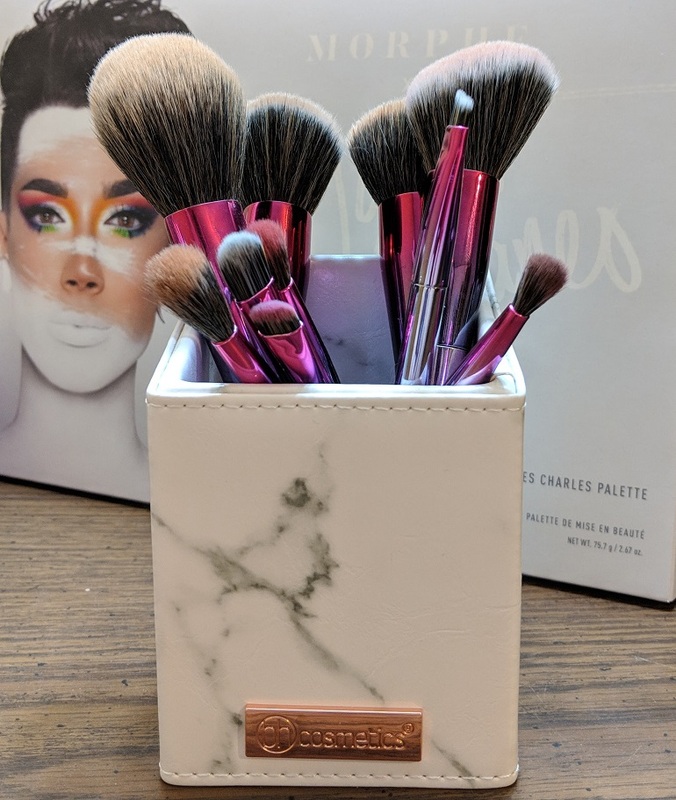 I got them on sale a long with 3 angled Brush holders in a Faux Leather, Vegan, Marble Pattern. They're really good quality and super pretty. They're normally $6.00 each, but on sale for $4.50 each! Thank you so much for stopping in a checking out my review. If you enjoyed make sure you leave a comment and have a chat down in the comment section! I've been trying to pump out more and more content each week and I hope you're all enjoying it! I have a new makeup tutorial coming up on Saturday or Sunday! I can't wait to share it with you!